Participants in C-Change, a year-long professional development program offered by the Cincinnati USA Regional Chamber, expect to learn new things. Yet sometimes the results are surprising. Recent participants include the heads of two construction firms that won a joint bid to build the city’s streetcar project, and young professionals who used the program as a platform to network their way to their next job. C-Change participants have become lifelong friends—and even partners. Recently, the program celebrated an unusual milestone: the first time two of its graduates got married. Programs like C-Change are important because today’s young professionals want more than a job. They want a city they can make their own, whether it’s through renting a unique downtown loft or giving up a car to embrace a city’s public transportation system. They want dense urban amenities that allow them to leap in and have fun when they’re not working, and they want a thick labor market so they can find their next job when they’re ready. In the global battle for talent, where in-demand professionals have lots of choices, cities have to be ready to satisfy these customers—or risk losing them to a competitor who will. Despite the fact that Cincinnati was recently ranked one of the top 100 places to start a career by Time, one of the biggest challenges in recruiting people to move here is that they simply don’t know much about the city. Their attitudes aren’t positive or negative—instead, they’re blank, like an empty slate waiting to be inscribed with a first impression. That offers both a challenge and an opportunity to Bernzott, who is charged with helping to ensure that Cincinnati brings up only the best thoughts in the minds of potential recruits. The chamber provides HR professionals with an arsenal of marketing materials. They also fill up the Twitter-sphere and social media outlets with positive news about the metro area. “One of the biggest selling points is the affordability factor," Bernzott says. "You can have a great urban apartment or be able to afford to buy a home and still experience the city and life here." HYPE’s programs, which include the annual mixer Bold Fusion, a monthly ambassador program that connects professionals, and in-depth initiatives like C-Change and Cincy Next, help to link young professionals to a larger community once they’re here. The programs are geared toward a generation that's strapped for time and eager to jump in and engage. 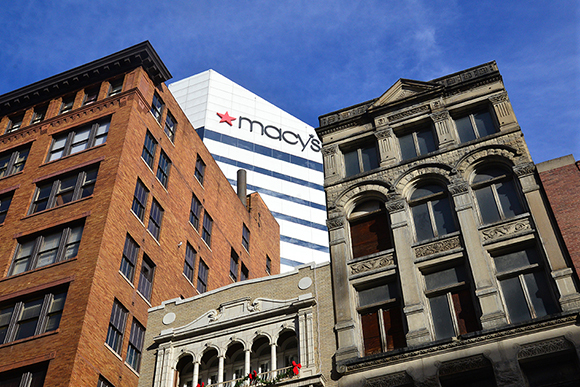 Having a vibrant urban area is a key part of the mix, and beautiful, walkable neighborhoods like Over-the-Rhine are draws. Yet above all, people want to be connected to each other, and that’s what HYPE does. “People say they can’t remember when there was such an explosion of friends and relationships in their lives—maybe not since college,” Benzott says. Innovation Works, a nonprofit organization that helps to spur entrepreneurship in Pittsburgh, is charged with an ambitious task: making sure the Steel City becomes the next Silicon Valley. Good luck with that. Except a strange thing is happening in this Rust Belt town – it’s actually working. A growing entrepreneurship scene is attracting fresh talent to Pittsburgh, which is now seen as a place where creatives can go to find a career and an affordable cost of living. The city's population of 20-34 years old has grown by seven percent in the last five years. “Accelerators are a big piece of what attracts talent,” says Terri Glueck, Director of Communications and Community Development with Innovation Works, the region's largest seed stage investor. AlphaLab offers startups $25,000 and 20 weeks of intense mentoring, and in exchange, these groups agree to stay and grow in Pittsburgh -- with IW's help. 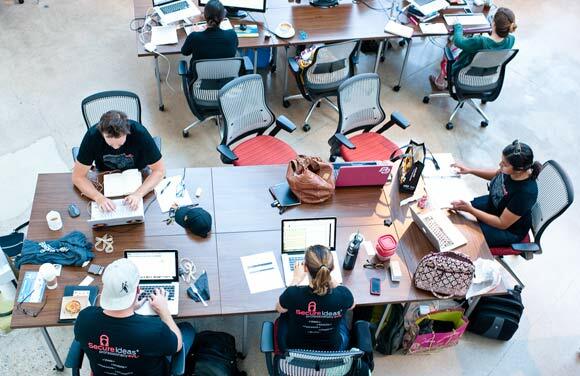 AlphaLab is an important part of the suite of tools that Pittsburgh uses to lure talent. These companies go on to create jobs, fostering a virtuous cycle of newcomers arriving in town. Success stories include Resumator, which sorts and organizes resumes for businesses and was used by recent presidential campaigns; Shoe Fitter, which completes 3D scans of the insides of shoe brands and puts the info on shoe websites to ensure the perfect fit; and For Moms, which makes self-folding strollers and other products that make parents’ lives easier. If AlphaLab gets them in the door, Pittsburgh's growing green scene (bike commuting is on the rise here), world-class universities and rising-star restaurants seal the deal. Yet equally important is the organic growth of a startup network that supports like-minded companies. Innovation Works also provides a human resources strategist that helps fledgling companies find C-level executive talent, a critical aspect of helping startups to reach the next level. Union Station in Denver was built in 1881 as a hub for the city's rail traffic. Today, it is the site of a $1 billion placemaking effort that is elevating this Rocky Mountain city to new heights. More than 6,500 housing units have been built around Union Station in recent years. The station will soon be the hub of Denver's new FasTracks rail network, which provides intercity rail service and, in a few years, will add commuter rail service to and from the airport. The project shows the importance of transit-oriented development to attracting young talent. "Creating place is what ultimately attracts the talent," says Brittany Morris Sanders, Vice President for Public Affairs with Downtown Denver Partnership, the group charged with guiding downtown development. "This generaton, millenials, often pick where they live before they have a job. We also know that companies look for places that attract this type of talent." Denver is now ranked second in attracting millenials by the Brookings Foundation (DC is number one), and much of its success, according to Saunders, has to do with public investments in placemaking. From parks to signature open spaces to infrastructure for public transportation, Denver has transformed its downtown into a magnet for talent. There are now more than 65,000 people living in downtown Denver (by way of comparison, Pittsburgh and Cincinnati, although growing, are struggling to cross the 20,000 threshold). It's about more than development, of course. DDP's CityBuild program helps young professionals living downtown to engage in making the city a better place. "We know through research that the emotional connection that people have with their city translates to their ability to invest in their city, stay in their city, become part of it," Saunders says. It's nice to share: D.C.
With the battle to attract and retain talent heating up in cities across the U.S., developers are now getting in on the game, designing spaces and places that attract the next generation. Nowhere is that more apparent than D.C., the top city for millenials these days, according to Brookings. In Crystal City, a close-in suburb serviced by the Metro, New York real estate developer Vornado has leased an office building to the national coworking company WeWork. The plan is to build 250-plus small apartments with amenities geared to tech workers. Vornado's placemaking effort is the sharing economy writ large. This unique apartment development is aimed squarely at the generation that's embraced bikesharing, carsharing, coworking and the like. The apartments are small but the amenities will be big, with fun spots to hang out and collaborate, including high-end communal kitchens featuring Viking stoves. "By bringing together a collaborative living environment, we think what that does is attract great young talent," says Mitchell Schear, President of Vornado/Charles E. Smith. "Instead of being bound to a specific place and a lot of material posessions, people want to be flexible with work and living. If they want to take a vacation to South by Southwest, they can do that." The project is part of a larger effort in Crystal City, where Vornado owns eight million square feet of real estate. The company has partnered with Paul Singh, formerly of 500 Startups, to create the Crystal Tech Fund to invest in homegrown entrepreneurs. Vornado has also created a 22,000 square foot Tech Shop maker studio, designed and built a showroom of the latest open office trends, and attracted top restaurants and bars to locate in the area. "We have knowledge workers," he says of D.C.'s changing complexion. "Instead of just being the seat of government, which is how we've attracted and retained people for decades, more young people are being drawn here because of our economy. They come, they stay." Lee Chilcote is Editorial Director with Issue Media Group and a freelance writer living in Cleveland, Ohio. He writes about urban redevelopment, placemaking and the future of cities. Follow him @leechilcote.